An international gathering of brass instrument musicologists, pedagogues, students, early music specialists and performers under the auspices of the Historic Brass Society is taking place in Northfield, Minnesota, in conjunction with Vintage Band Festival 2016. This festival and conference has been held annually in various locations in the United States. The combination with Vintage Band Festival offers a wider range of informal playing sessions to a wider audience, and serves as an introductory forum for students and other musicians into the sphere of historically informed period-instrument performance. 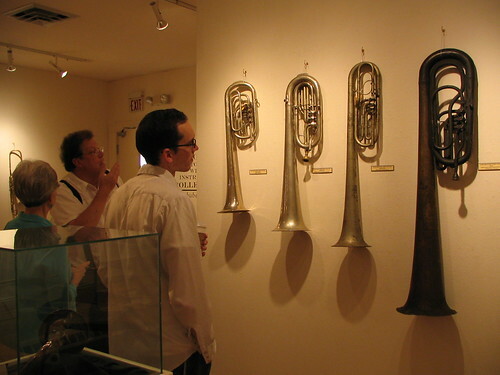 Attendees will include many of the world-renowned performers and experts in brass instrument musicology, representing worldwide research and professors and students from major colleges universities in the United States and Canada. Conference Site: The City of Northfield, Minnesota is situated along the banks of the Cannon River in the rich agricultural region of southeastern Minnesota and stands as a prominent example of a pioneer town that has thrived for over 150 years. Located within a 45-minute drive from the Minneapolis and St. Paul, the city of Northfield offers residents the pleasing combination of proximity to a metropolitan area and a quiet, small town setting. Northfield’s population is about 20,000, which includes 5,000 college students in winter. Northfield celebrates its motto “Cows, Colleges, and Contentment.” This phrase serves as recognition that agriculture continues to be Northfield’s largest industry, that the colleges (Carleton College and St. Olaf College) are a driving force in the community, and finally that contentment is the feeling Northfield provides for visitors and citizens alike. Northfield has an unusually active arts community and a lively historical society, both of which are enthusiastically supported by its citizens. Registration : Download this pdf and mail to Jeffrey Nussbaum with check enclosed. Yes, you can just appear and register on site! If you wish to contribute a paper, contact Jeff Nussbaum by May 1, 2016. Some EBF Housing will be in the beautiful 19th century Archer House. www.archerhouse.com 212 Division Street Northfield, MN 55057. A special Festival rate is available. The Archer House features 36 Guest Rooms and Suites including Cozy (16), Large (11), Executive Rooms (5) and Two Room Suites (3). Early booking suggested! * indicate your interest in dormitory housing on your registration, and we will hold the room/bed for you. NOTE: most rooms are double occupancy- so indicate any room partner you’re planning for. There is a limited number single rooms also. Inquiries about housing details, please send to vintagebandfestival@gmail.com. Sessions held at the Weitz Center for Creativity, Carleton College, Union St. and Third, Northfield. 11:45- HBS Meeting and closing remarks.